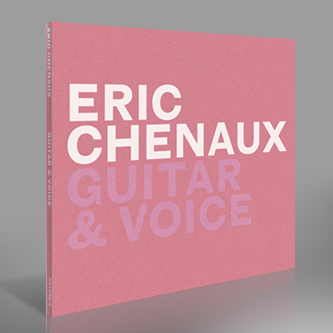 "Eric Chenaux is one of Canada's most respected, long-standing experimental guitar players and songwriters. Starting with legendary Toronto punk band Phleg Camp in the early 90s, he has tirelessly expanded his musical vocabulary in countless improv, avant-folk, damaged jazz and contemporary music ensembles throughout the 2000s. 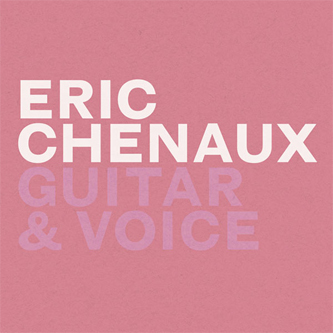 Since 2006, Constellation has been home to Chenaux's more overtly song-based work, his clear voice and erudite lyricism guided by an utterly unique guitar technique and a deep immersion in folk traditions from medieval to post-modern. 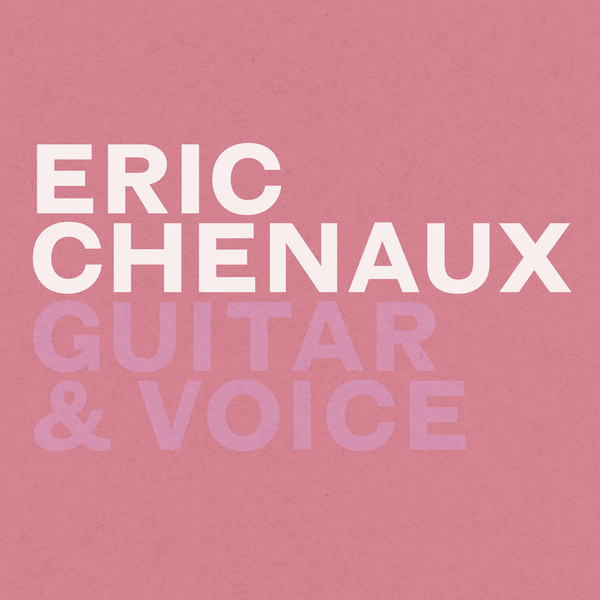 With this fourth album for the label, simply and aptly titled Guitar & Voice, Chenaux has made what in a literal sense can be called his first solo album, in that this recording features only his playing and singing; no guest or supporting musicians, minimal overdubs, and a rigorous structure that alternates back and forth between longform, mostly vocal-based tunes and shorter, cacophonously harmonious bowed-guitar instrumentals. 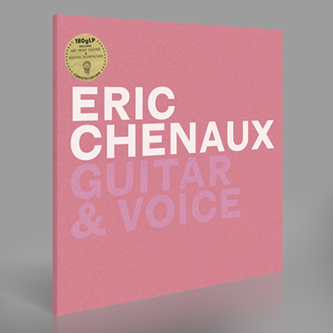 Chenaux sees the entirety of Guitar & Voice as balladry. The album's four tunes with singing are clearly ballads, but filtered through Chenaux's uniquely distorted, refracted, genre-defying lens. Jazz, consort-music, free/improv, Scottish folk, psych / noise, medieval, baroque and pop influences do not so much compete as synthesise in various ways across these four songs. Heartbreaking lyrics delivered in Chenaux's strong but gentle lilt are set against an ever-shifting array of sounds and strategies elicited from acoustic nylon-string guitar (with the help of a small but expertly-deployed chain of wah-, freeze- and fuzz-pedals). Traditional song structure and lyrical arcs manage somehow to anchor themselves to constantly surprising, unpredictable and virtuosic contrapuntal guitar work, always playing at/with the threshold of sonic experimentation and improvisation. Chenaux's ballads sound like no other. With the exception of “Sliabh Aughty” – a beautifully fried 8-minute Hendrixian workout (were Jimi channeling Braveheart rather than “home of the brave”) – the album's instrumentals are miniatures of a sort. Each is a a bowed guitar piece, recorded acoustically, re-amplified through Leslie speakers and re-recorded as installation pieces in the studio. Each shifts and slides along a stream of harmonic consonances and dissonances wherein melodic motifs are continually subject to slippage. Guitar & Voice was recorded at Six Saint V (Constellation's studio apartment for visiting musicians in Montreal) and mixed at the Hotel2Tango by Radwan Moumneh."